Web development is our passion. We develop blogs, business profiles, e shops and web applications in general. Starting a project with us you are ensuring high quality in good price and on time. Web development is our passion. 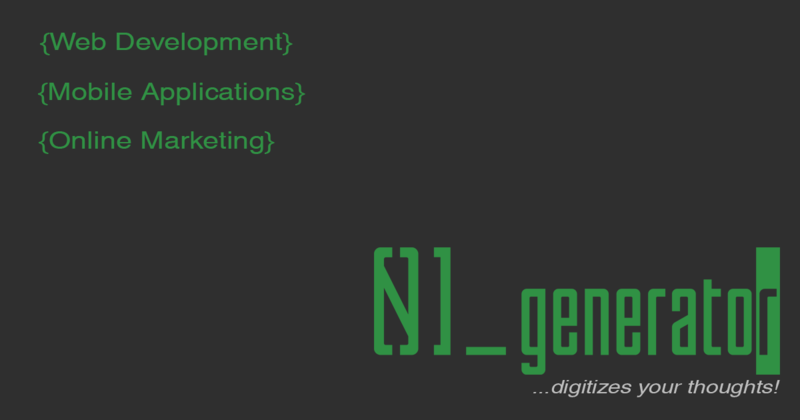 We build web applications, e-shops, blogs, business profiles and many more. We try to be always up to date and use the latest technologies. According to your project, budget and time we choose the best technologies that suit you and offer the highest quality. Mobile applications in our days is the next level of IT. Almost all companies need a Mobile Application. We are able to build in all platforms like iOS, Android, Windows even Ubuntu. We use different VPS in different hosting providers like DigitalOcean, Amazon AWS etc. If you are looking for cheap cloud hosting that doesn't need many IT knowledge, we are here for you. We offer cheap hosting services in our servers. Having a website or a mobile application is one thing, but as you may know everything needs advertising. SEO is a marketing campaign. It stands for Search Engine Optimization. In a few words we optimize your website in order to attract people that are using search engines like google or bing. We use various technologies in order to choose the best one that meet your needs.